'It's better than nothing', I must have thought when I bought this single. It features an edited version of Zucchero's most accomplished song, 'Diamante'. The album version is a few minutes longer and contains lots of atmosphere which is missing from this edited version. The single went by unnoticed in most territories, but when Zucchero broke through internationally, I heard this song and was immediately hooked. Music like this is rare and precious. In 1990, the Italian singer Zucchero attempted to reach the charts outside of continental Europe, where he'd made a name for himself. In July 1990 he released 'Mama' in the UK, an English version of his 1989 European hit 'Madre dolcissima'. The single did not chart. In 1991, he had more success, when he recorded a duet with Paul Young. Their track 'Senza una donna' became a top 10 hit in the UK. 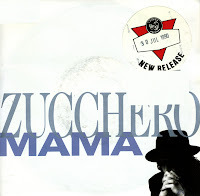 'Madre dolcissima' (1989) was Zucchero's last single before his international breakthrough with 'Senza una donna', the duet with Paul Young in 1991. Clocking it at over 7 minutes, it was quite a lengthy single and a very interesting track. It was taken from Zucchero's 1989 album 'Oro incenso e birra', which was recorded in Memphis. The album includes the Italian hit singles 'Diamante', 'Overdose (d'Amore)', 'Il mare' and 'Wonderful world'. 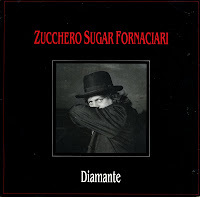 The original version of 'Diamante' appeared on Zucchero 'Sugar' Fornaciari's 1989 album 'Oro incenso e birra', released first in Italy and then in the rest of Europe. The album also contained the hits 'Overdose (d'Amore)', 'Il mare' and 'Wonderful world'. 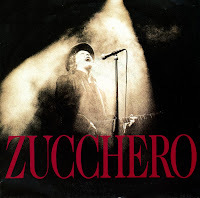 A year later, Zucchero started conquering the English-speaking world with his first album in that language. The duet with Paul Young, 'Senza una donna', is still one of his biggest hits. 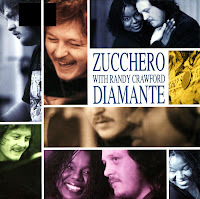 This version of Diamante, recorded with Randy Crawford, was a less successful single and didn't appear on any album until 'Zu & Co' was released in 2004. It was included in a special edition of that album.